I’ve been dropping hints all week. (Remember these? Photo of bike with suspicious carrier. Incriminating syntax.) But here’s my final and most obvious shot. 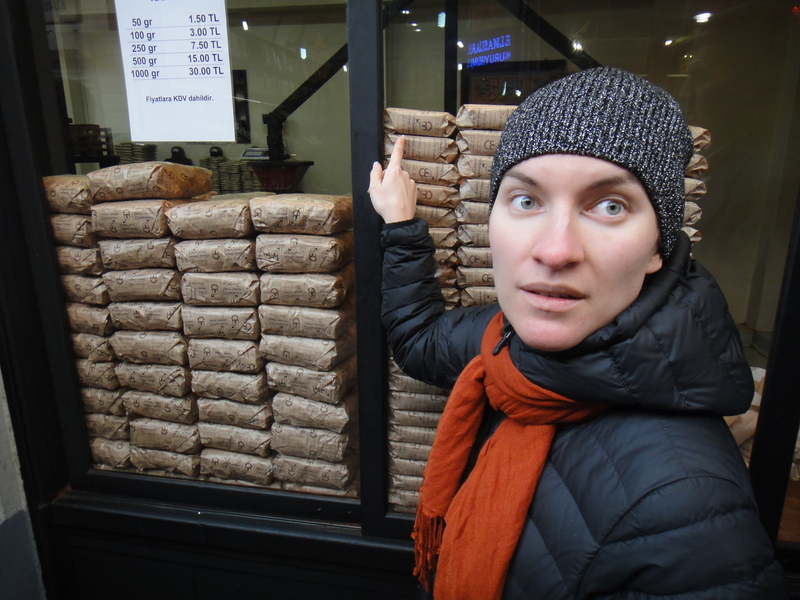 Above is the face of a coffee-adoring woman who’s spotted bags full of freshly-ground Turkish coffee. In Istanbul nonetheless. And, get this, according to the sign, the bag she’s pointing at would cost her half a Euro. This woman, however, has been weaning her intake. Why? Because she’s four months pregnant. So, so, so very happy for you. Love to you both. Natalie is a wonderful name if it’s a girl.